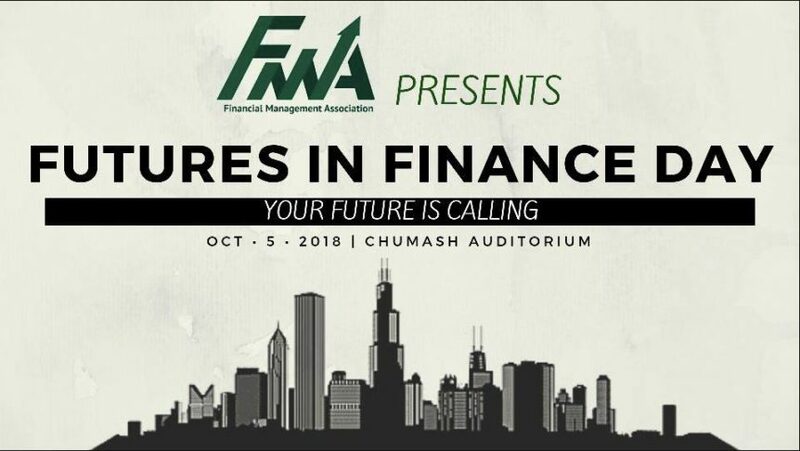 Come join FMA for its annual Futures in Finance Day! This is an event for all Cal Poly students to network with leading finance companies and apply for positions. FMA will be hosting a networking social October 4th from 6-8pm at The Monday Club. This is a great chance to speak with employers in a casual setting the day before Futures in Finance Day.